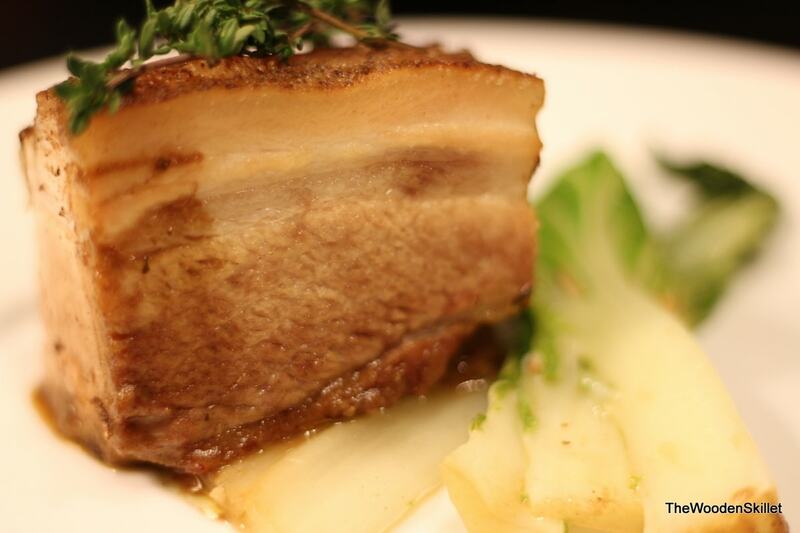 Aaaaah beautiful pork belly. 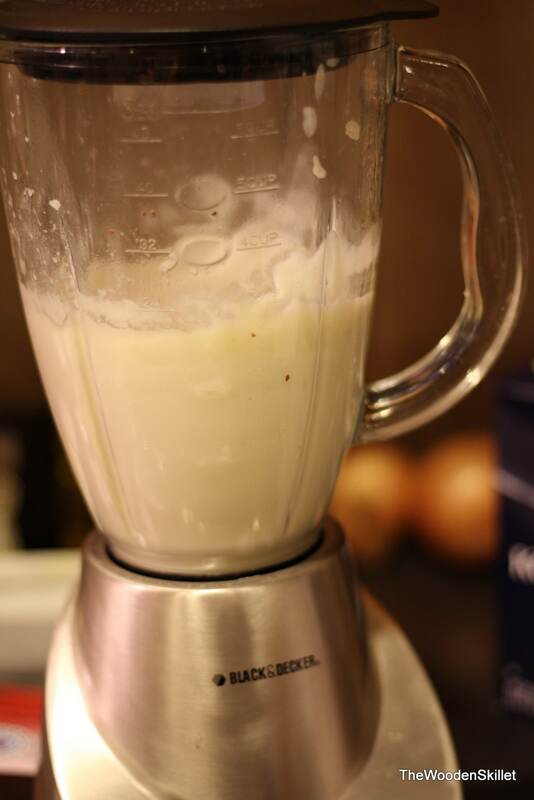 Don’t be afraid to try it – as an added benefit, beyond be delicious, it is really not very expensive. I purchased 1.5 pounds and it costed approx. $8.00 or so. 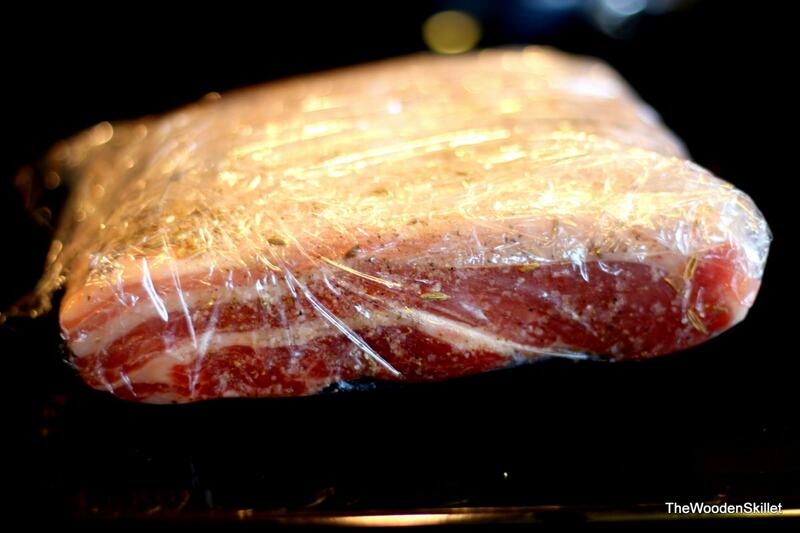 I put a rub on it of toasted coriander, fennel, salt and pepper and let it sit overnight, wrapped in plastic wrap. Take it out of the refrigerator and let it come to room temperature. Then bring a skillet or saucepan to med-high heat along with some grapeseed oil. Sear the pork belly on all sides. Place in a Dutch Oven or other stove-worthy pan. Pour in chicken or pork stock along with vegetables and herbs. Leave in the oven at 300 degrees for 2-3 hours; then remove from pan and let cool in fridge. Letting it cool will allow you to cut it and not have it fall apart. Once you cut it into your desired-sized pieces, sear again on all sides on med-high heat and serve immediately. 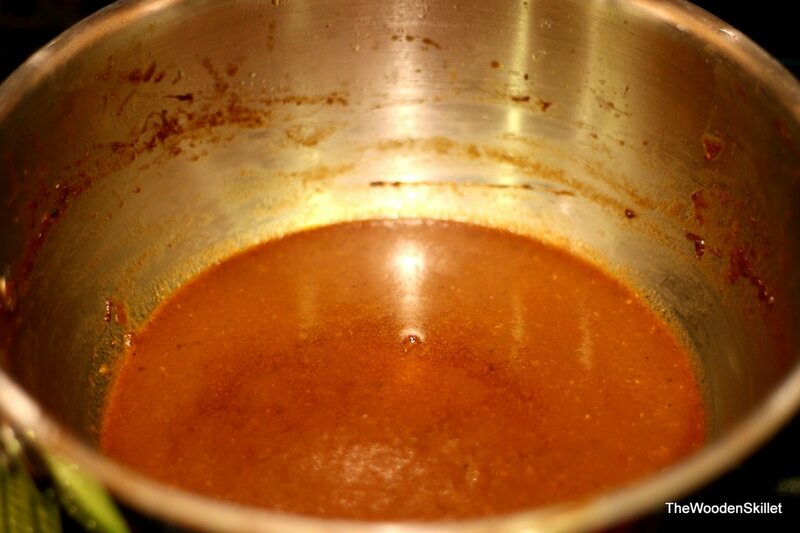 While the pork belly was in the oven, I meddling with my mole sauce. 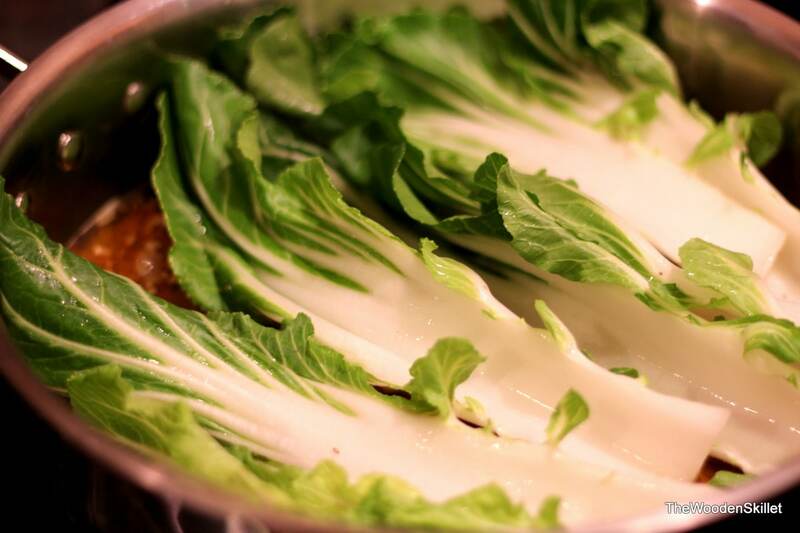 And then, somewhat at the last second, braising bok choy and boiling and blending the cauliflower mash. Yes. It was amazing. But this will definitely NOT be the last time I make pork belly. Stay tuned for second, third, fourth…. well a lot of pork belly recipes. I hope you enjoy and I hope you decide to “wow” your family, significant other, your whoever – go for it. 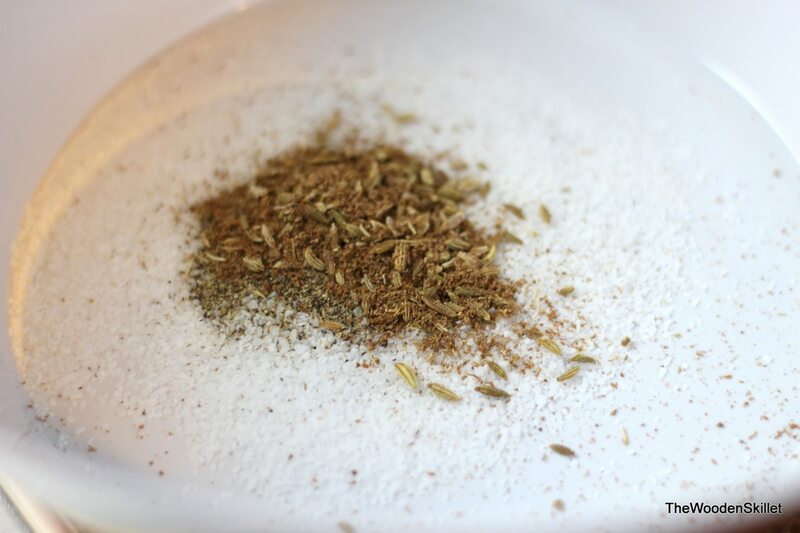 Toast coriander and fennel and then crush. Combine with salt and pepper. Rub all over pork belly, especially the fatty side. Wrap in plastic wrap and place in refrigerator for at least 4 hours or overnight. 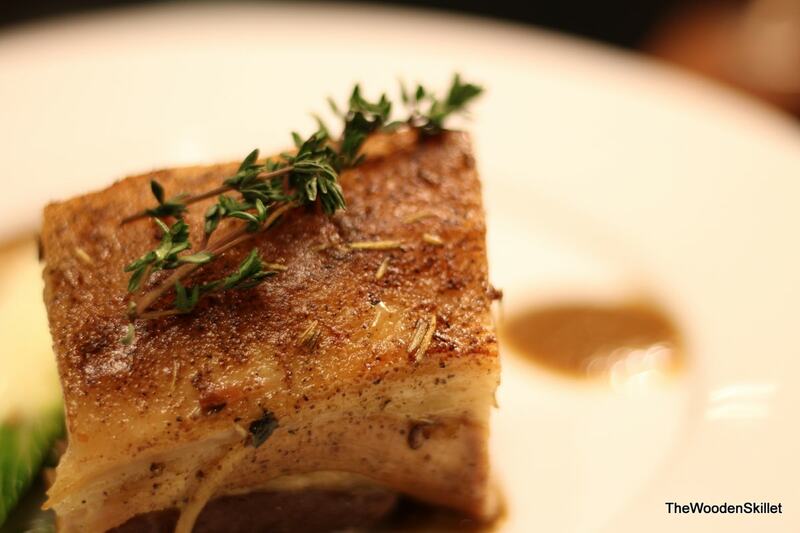 Add grapeseed oil to saucepan and bring to medium-high heat; Sear pork belly on all sides. Place pork belly into dutch oven. 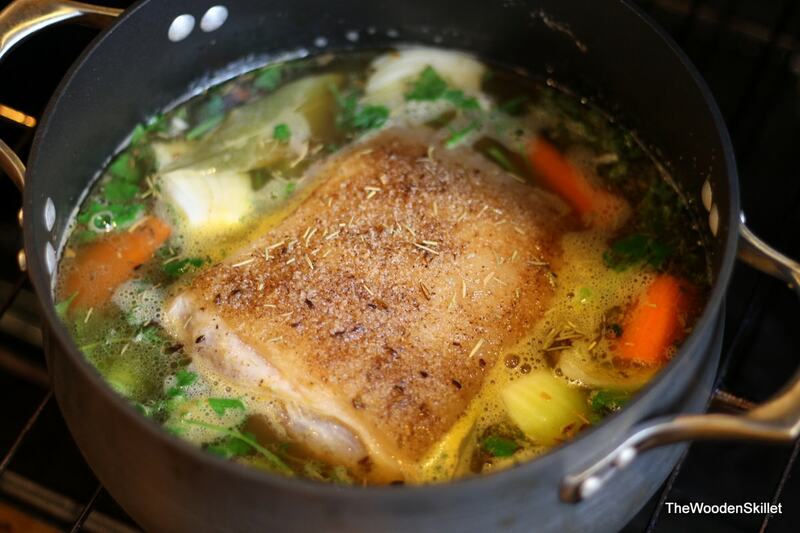 Add celery, carrot, onion, garlic, thyme, peppercorns, bay leaves, parsley and stock – make sure the stock does not fully cover the pork belly, it should go about 3/4 of the way to the top. Place in oven for 2 -3 hours. 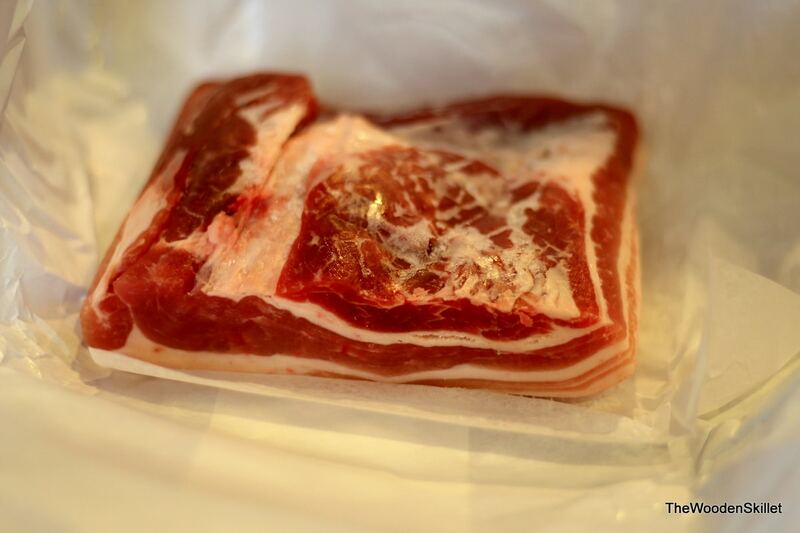 Remove from oven and place pork belly on plate; Set in fridge to cool. 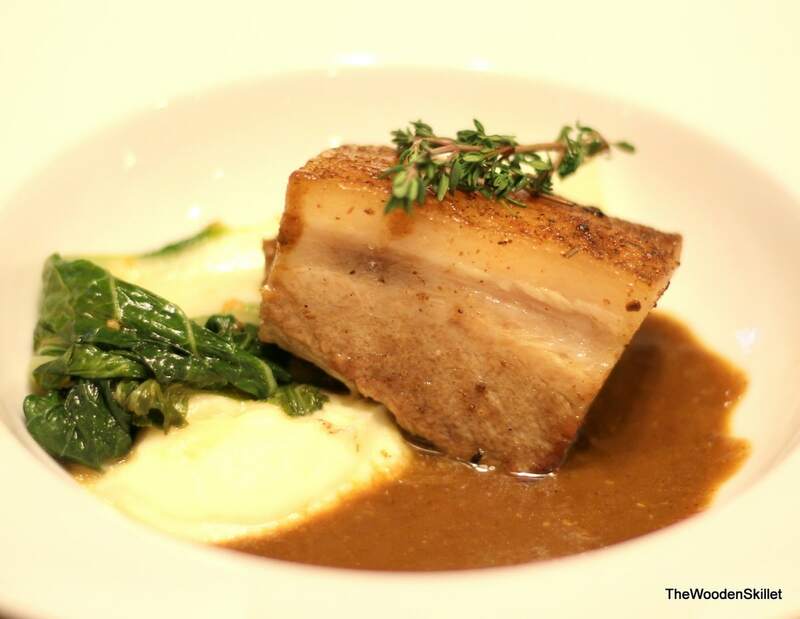 Once you are ready to serve, cut the cooled pork belly in chunks. Sear each chunk in skillet on med-high. Over the next few days I will be adding additional posts with the recipes for the mole sauce, bok choy and cauliflower mash……stay tuned!